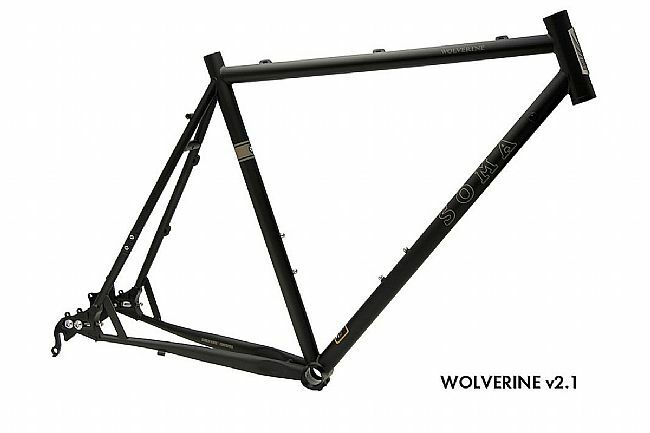 The original inspiration for the Wolverine was "monster cross", but it is seriously so much more. Its geometry is stable enough for off road touring, but sporty enough for all-around adventure. With its Tange/IRD Sliding Dropouts, you can turn it into a single-speed CX bike. 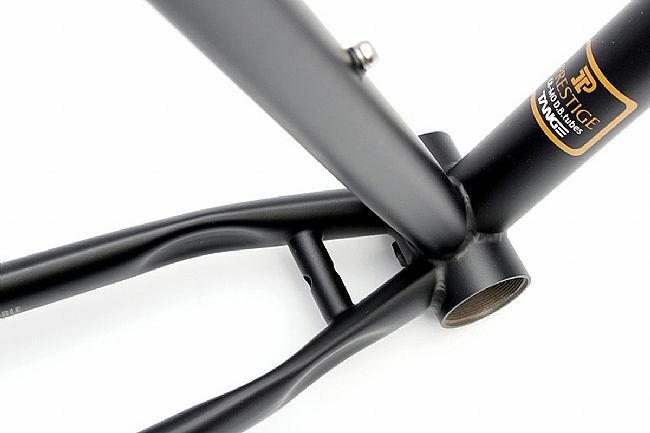 With a split seatstay, it is compatible with the Gates Carbon Belt Drive. 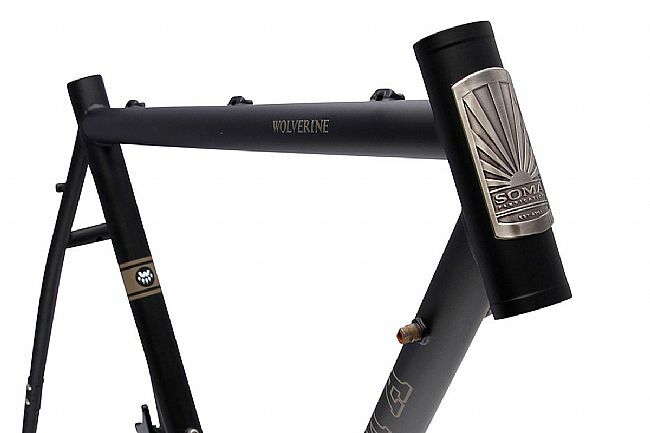 Soma's new v.2.1 has stiffening plates added near the dropouts. We also switched up the welding method to keep more of the tube's overall strength. Tange Prestige heat-treated CrMo front triangle; butted CrMo rear end. Clearance for 700x45c tires w/ fenders. Gates Carbon belt drive compatible . Braze-ons for rear rack and fenders (disc brake-compatible racks only). Sizes: 50, 52, 54, 56, 58. 60, 62 and 66cm.